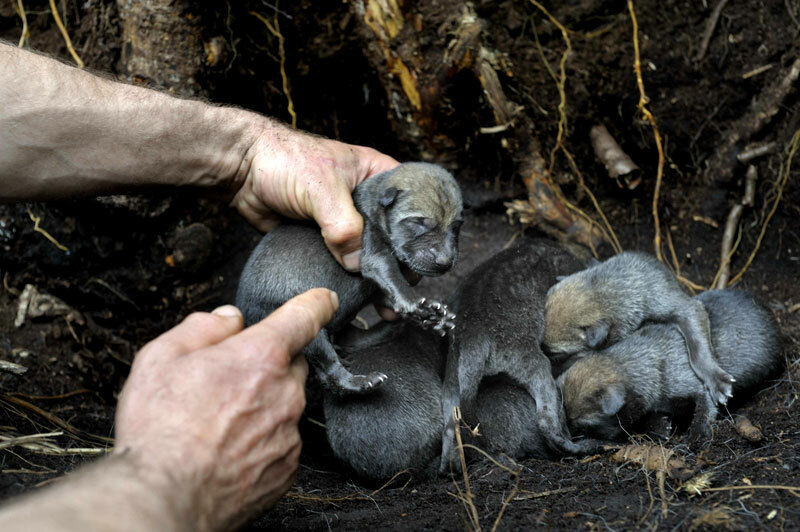 Today is Chernobyl ‘s 30th anniversary– and the impacts of the world’s worst nuclear power plant disaster (yes, they say, worse than Fukushima in 2011) are still being felt in wildlife that remain in the “Exclusion Zone” and humans who fled the contamination. Scientists continue to study how exposure to high levels of radiation are affecting everything from spiders and birds, to wild dogs and wolves. (See below for tv documentaries and photo essays below). Many agencies including the World Health Organization continue to track the trail of disease and death to humans. 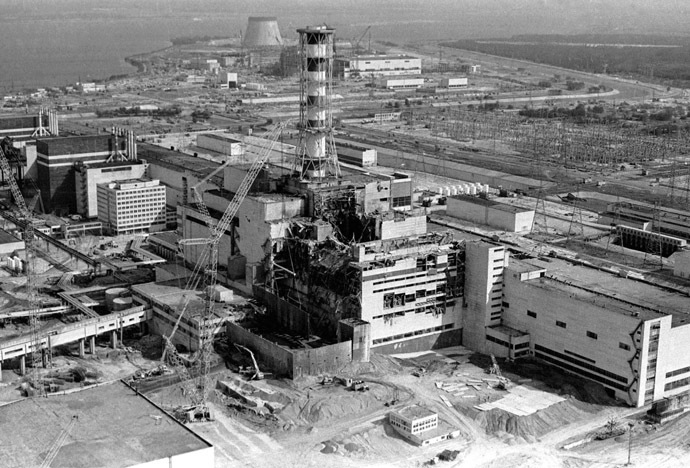 On April 26, 1986, the explosion and fire in Number 4, one of the four 1,000-watt operating power reactors–on the Pripyat River, just 60 miles from Kiev– experienced a power surge, then a larger spike, during a bungled test. The reactor vessel ruptured, a series of radioactive steam explosions occurred, and the combustible graphite moderator ignited, causing a fire that went on for 10 days. Thousands of people were exposed to cesium-137, strontium-90, iodine-131 – the deadly radioactive isotopes in the nuclear fission process– expelled in the bursts of steam and particles that wafted over western Soviet Union and Europe. 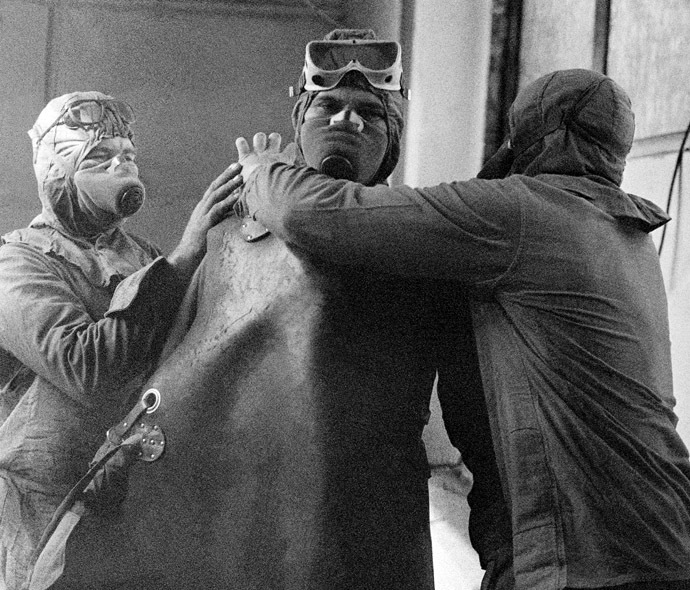 Some 350,000 people were evacuated from Chernobyl and other areas of Belarus, Russia and Ukraine; some 530,000 local recovery workers, without adequate protective gear, experienced exposure “equivalent to an extra 50 years [per person] of typical background radiation exposure.” A shocking fact: the Soviet government waited 36 hours to call for the general population evacuation! 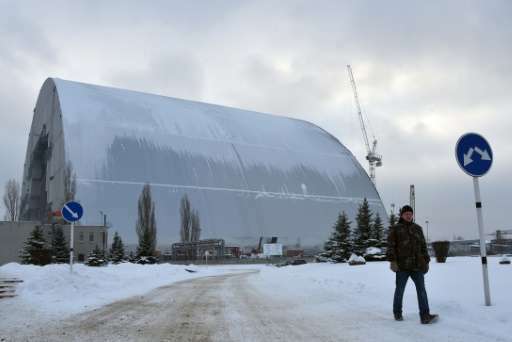 New safe confinement arch will cover the reactor, expected to be completed in the near future. Suiting up conscripted soldiers and locals to deal with the 1986 disaster. What happened to nature ? An Exclusion Zone – the size of Luxembourg – was established by the Soviet government, leaving a no-man’s land of buildings, schools, parks and wild spaces for the past 30 years. According to a Nature documentary (PBS), “ In the ensuing 25 years, forests, marshes, fields and rivers reclaimed the land, reversing the effects of hundreds of years of human development. 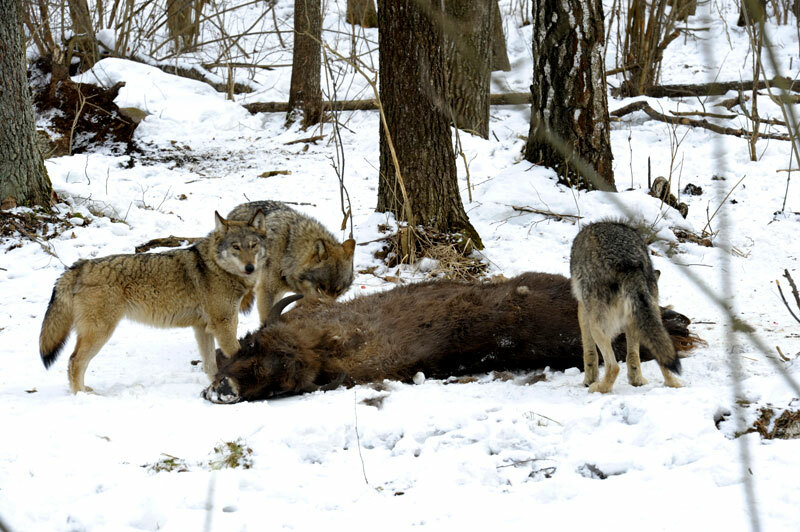 And surprisingly, this exclusion zone, or ‘dead zone,’ has become a kind of post-nuclear Eden, populated by beaver and bison, horses and birds, fish and falcons – and ruled by wolves.” See the full episode of Nature on the Wolves of Chernobyl (53 minutes). 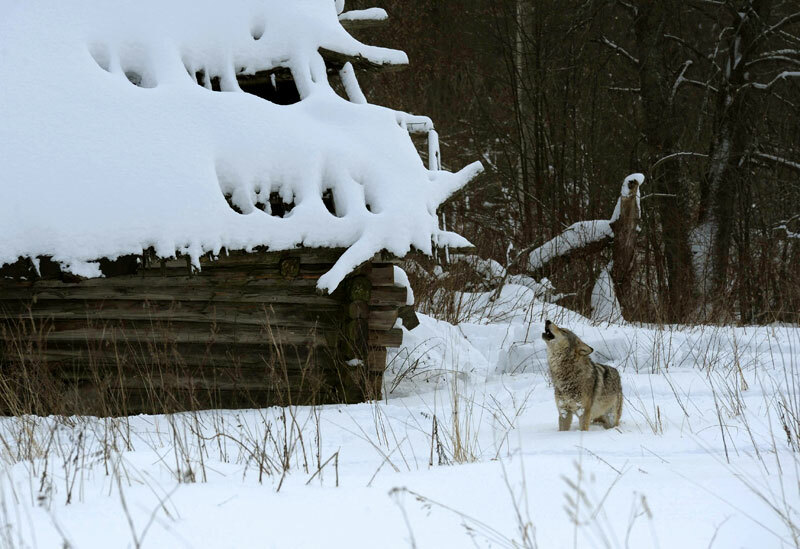 Scientists from the US, Germany, Ukraine and other countries continue to investigate Chernobyl’s animal populations, in particular, to see how wolves have adapted to life in a radioactive zone. The premise is that if the top predators are doing well, the prey must be available too. Christoph and Barbara Promberger get ready to place wolf traps for radio collarinjg. They are fully suited up to avoid contaminated soil or radioactive hair from wolves. 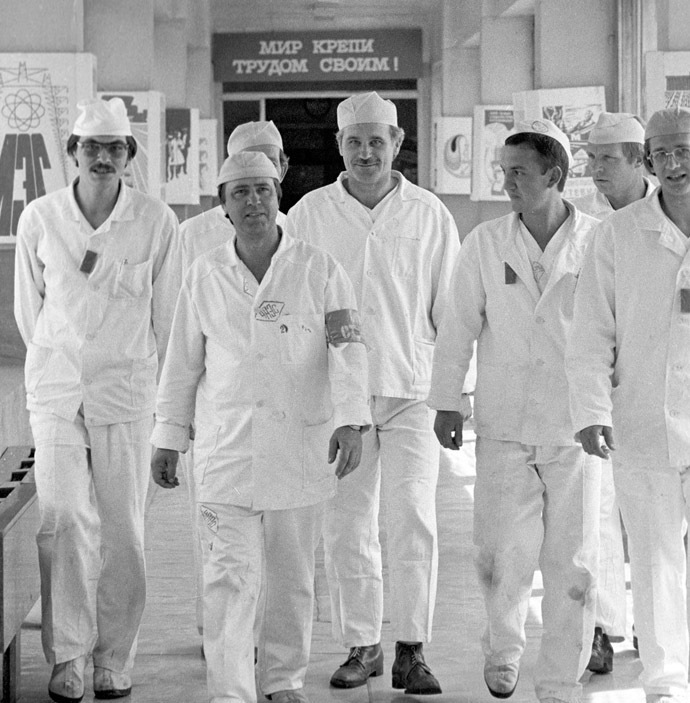 “Without question, the accident at Chernobyl was the result of a fatal combination of ignorance and complacency,” says Richard Rhodes in Nuclear Renewal, A Matter of Risk. ‘As members of a select scientific panel convened immediately after the…accident,’ writes Bethe, ‘my colleagues and I established that the Chernobyl disaster tells us about the deficiencies of the Soviet political and administrative system rather than about problems with nuclear power.” Nuclear Renewal, A Matter of Risk, Richard Rhodes (Chapter 5), Penguin Books 1993.